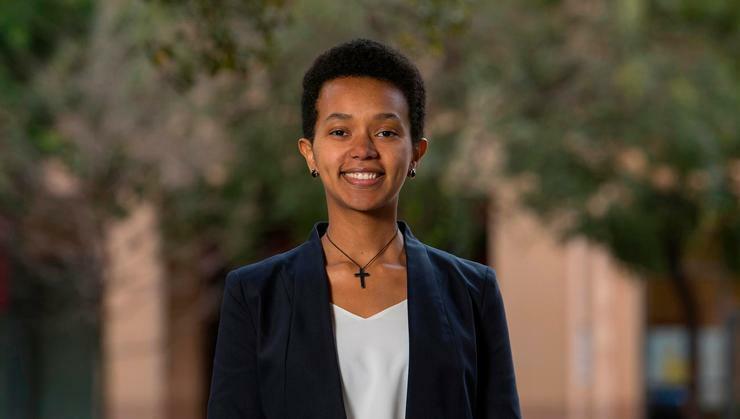 Tesfaye, from Holeta, Ethiopia, is pursuing a master’s degree in statistics (data science track) at Stanford School of Humanities and Sciences. She graduated from Hamilton with a bachelor’s degree in mathematics and a minor in education studies. Tesfaye presented her Youth for Ethiopia project at the Clinton Global Initiative University in 2016, as well as social innovation conferences and trainings in Austria, Japan, Rwanda, and the U.S.